How to watch Barbie Dreamhouse Adventures: Season 2 (2018) on Netflix Mexico! 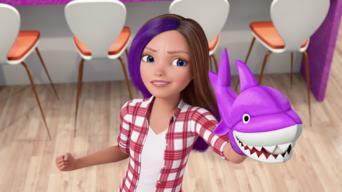 Sorry, Barbie Dreamhouse Adventures: Season 2 is not available on Mexican Netflix, but you can unlock it right now in Mexico and start watching! With a few simple steps you can change your Netflix region to a country like Panama and start watching Panamanian Netflix, which includes Barbie Dreamhouse Adventures: Season 2. We'll keep checking Netflix Mexico for Barbie Dreamhouse Adventures: Season 2, and this page will be updated with any changes. 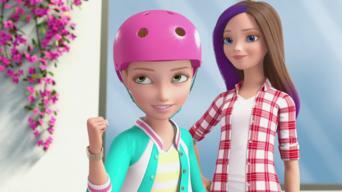 Barbie Dreamhouse Adventures: Season 2 is not available in Mexico BUT it can be unlocked and viewed! Season 1 of Barbie Dreamhouse Adventures has 8 episodes. Because different Netflix countries have different availability for episodes, you'll need to check the episode listing below to see which are available in Mexico. 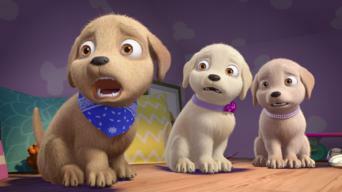 Barbie's "Best Day Ever" starts out great ... until strange things start happening inside her family's dreamhouse. Could their new digs be cursed? Barbie and her friends plan a birthday surprise for Chelsea by making over her backyard clubhouse. But their mission takes a smelly detour. Barbie puts her skills to the test when she competes on an extreme baking show against a reigning champ who loves to win -- and hates to lose. The Roberts clan gets back to basics when Dad challenges them to a weekend of pioneer living. And the catch? It's all happening in their own backyard. When Skipper snags her first babysitting job, an overprotective Barbie goes overboard trying to make sure everything runs smoothly. Barbie and her friends take a road trip to hear Daisy drop the beat at a major music festival. But Daisy keeps finding reasons to stall along the way. Skipper steps in to handle her parents' 20th anniversary party when Barbie gets a once-in-a-lifetime invitation to attend Robot Con. With their parents away for the night, Barbie, Skipper and Stacie recruit Ken for an elaborate plan to bring Chelsea’s imaginary “Roof Fairy” to life. Season 2 of Barbie Dreamhouse Adventures has 9 episodes. Because different Netflix countries have different availability for episodes, you'll need to check the episode listing below to see which are available in Mexico. Barbie feels like she's getting too old for her father-daughter tradition, so she passes it down to Chelsea. But is she really ready to let it go? Thinking about the future prompts Barbie to have a dream where anything's possible -- and everything's really, really weird. 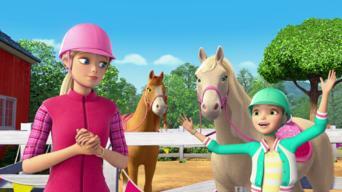 When Barbie discovers Duchess the horse is going to be sold, she and Stacie come up with a plan to keep her around. Instead of reading a book at bedtime, Chelsea tells her family a story about their puppies' secret -- and surprisingly dangerous -- lives. While trying out a new escape room with their friends, Barbie and Ken get separated from the group and wind up on an adventure of their own. Chelsea's campaign to raise money for puppy literacy continues with a miniature golf challenge that involves the whole neighborhood. From dancing to baking, the unstoppable Barbie Roberts can do anything ... except ask for help when she needs it most. Fate turns the tide on Trey and Barbie when they compete for the best spot on the beach. Back at the Dreamhouse, Stacie tries to set a world record. Renee's desperate to impress her relatives in China, but Barbie doesn't have the heart to tell her that her "talents" need an awful lot of work. Season 3 of Barbie Dreamhouse Adventures has 9 episodes. Because different Netflix countries have different availability for episodes, you'll need to check the episode listing below to see which are available in Mexico. Barbie's friends want to be internet celebrities, but learn that fame isn't all it's cracked up to be when their goofy vlog post goes viral. When dogs are banned from the beach, Barbie and Nikki take their fight to City Hall -- and have to deal with Poppy Reardon. 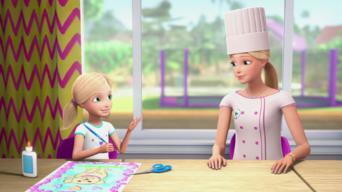 Barbie and Daisy go to Barbie's hometown in Wisconsin, where they try to save her beloved Aunt Adele’s inn. To break up the fight between Stacie and Skipper, Barbie offers to trade rooms. But soon, the Roberts sisters learn that no roommate is perfect. Ken and Barbie try to embark on a relaxing weekend at the spa, but end up getting caught up in an adventure with the owner's grandson. Trey gets hurt on the Roberts' property, so the family is extra nice to him. But Barbie suspects that the demanding neighbor is up to something. Barbie and her friends try to impress a fashion idol at a mermaid convention, but things take a turn when the sisters become suspects in a mystery. With her sisters in trouble for a prank gone wrong, it’s up to Barbie to prove their innocence and catch the thief. The Roberts family could be evicted from their Dreamhouse unless Barbie can figure out who is behind Malibu’s sudden flea infestation.